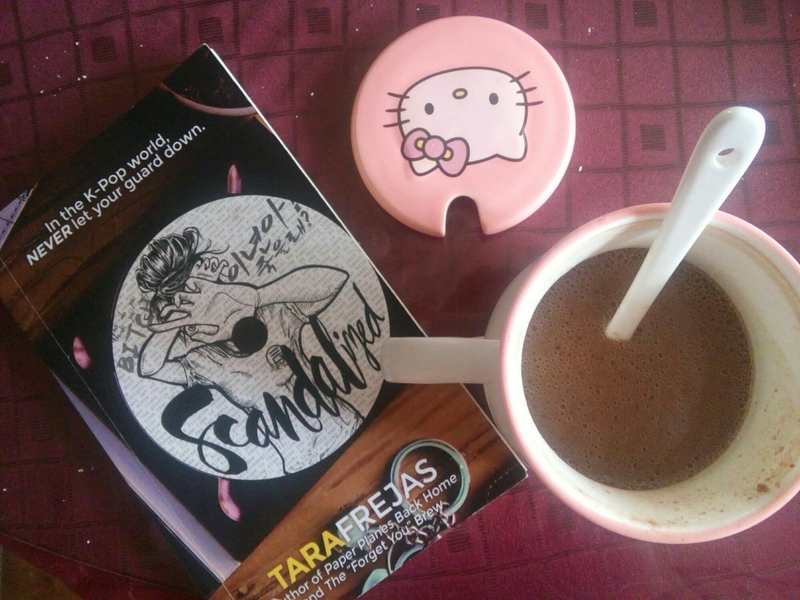 On my last review, I mentioned a genre/trope of romance novels I call as “rockstar romance.” Well, look no further for an example because Tara Frejas’s Scandalized is one very good example of the genre. Fi Legaspi is living the dream of working in Seoul as a road manager for one of South Korea’s hottest bands, East Genesis Project. Until she isn’t. When she finds herself in the middle of a scandal and a hostile fangirl witch hunt, Fi seeks the comfort of home, and to her surprise, not the person she had been pining for for years. All too suddenly it’s no longer her career on the line, but also her heart. Will she walk away from everything that matters to her or fight to keep her dream live. Reading rockstar romances involving famous celebrities and a normal (civilian) main character affords us of certain fantasy that is almost akin to that of a princely type of character meeting a commoner. There is that sense of wonder that caused by the almost impossibility of it happening in real life. After all, do you get to see your celebrity crushes in real life and make them notice you romantically often? I am not sure if this is a reading quirk of mine, but I find books which bring new things to the proverbial table a lot more exciting. I really love how creative authors can get when they work inside the formula of the genre. Granted that there really are beats that sound almost alike to each and every romance book, but they are all unique and have their own individuality in them that makes readers discern one book from another. Remember that Chinese proverb about a stream never being the same water you see when you touch it? I kind of see romance books like that as well. In Scandalized, Frejas presented us a boyband that the South Korean audience, if not the world, loves to pieces. And yes, to have a great rockstar romance novel, of course, you have to have a musician or a band full of gorgeous men who the people love. Then comes the main character. Usually, she is a person who has not heard of the band or not a fan. Maybe there is a humbling effect on the love interests that adds to the fantasy. A lot of books certainly think it’s effective. And again, usually the main character and the rockstar realizes how they both grow and help each other overcome theirs. Crises. This development helps them fall in love with each other and thus, the Happily Ever After. Frejas’s book shows Fi Legaspi, accomplished and independent woman, working abroad and interacting with the hottest boy band in South Korea like a friend. And while she maintains a great friendship with the boys, her proximity to them did not render her immune to their charms as she fell in love with bandleader Yihwan. It would have followed the same outline as other rockstar romance books but it did not. “See that’s the thing. I never wanted to be a refrain in your head.” Her voice is laced with conviction as she speaks, but she’s blinking away tears. Not only do we see a Filipina character interacting with the Kpop idols we keep on loving, but we also see a defiance of the genre that is welcome and effective. At the risk of a minor spoiler, I have to say this: No matter how great to see Yihwan realize how wonderful a person Fi was, I love how the readers are treated to a chance that yes, maybe he is just in love with the concept of being in love and that in itself is more humbling than falling in love with a non-celebrity woman. The book, in its very core, discusses the ill effects of bullying. Cyberbullying, to be exact. There is a certain acceptance of this truth at the beginning of the book that creates a tension to the future events the book. Celebrities are never far-away from the public scrutiny as they are almost owned by the public. Without their fans, they don’t have a career. But we cannot forget that they are humans, too. Like you and I, they have lives that are separate from their celebrity that a lot of people usually tend to forget. The distance afforded by the internet also gives more power to anonymous individuals to lord over the lives of these celebrities. I love how Frejas intricately weaved this sensitive topic to the story and created a seamless tapestry that refuses to be shove-on-your-throat didactic and presented the lesson to the reader more palatable. Ultimately, tackling pressing issues like these are the mark stones of really good romance novels: with the subversion of issues and the triumph of the female character.